Great news for all R enthusiasts: we have developed a package to facilitate querying openrouteservice API from R. The latest version can be installed directly from GitHub with devtools::install_github("GIScience/openrouteservice-r"). It’s really easy to get started. 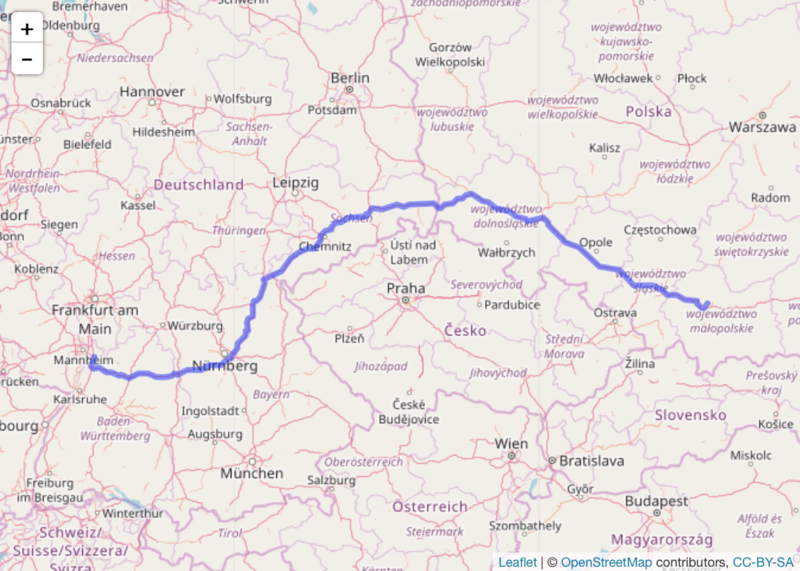 For example, finding a route from Heidelberg to Kraków takes just a few lines of code. And with the help of leaflet it’s even possible to visualize the results directly in R. Neat! For more examples and an overview of the offered functionality see package vignette.